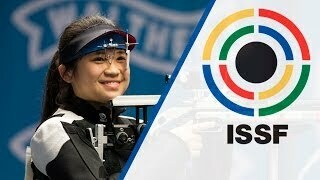 Today's youngest finalist, and probably one of the youngest participating athletes of this world cup stage, 14-year old Martina Lindsay Veloso of Singapore, won the 10m Air Rifle Women match, defeating some of the best shooters of the world. Veloso arrived here in Munich after winning this year's Asian Championship in Kuwait City, and that gave her the confidence to face opponents like the 2008 Olympic Champion Katerina Emmons of the Czech Republic and the 2010 European Champion Andrea Arsovic of Serbia. The young shooter from Singapore led the match, firing some of the best shots of the day, and closing the match on top of the scoreboard with 206.9 points. "I decided to start shooting two years ago, when I was 12 and my school organized a shooting program." Veloso said. "There were a lot of students going for it, and I was hand-picked by my coach. I was one of the few who got selected. I'm really grateful for that." “I am so happy!” The young shooter said smiling. Next aim? The Youth Olympic Games, that will take place in August, in Nanjing, China. 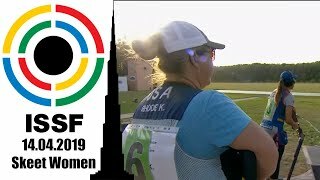 0.3 points behind the Gold medal winner, the 2008 Olympic Champion Katerina Emmons (30) came back upon an ISSF podium wining the Silver with 206.6 points, pocketing her first world cup medal since 2012. Serbia's Andrea Arsovic followed them in third place, securing the Bronze medal with 184.6 points after fighting head and head against Emmons for the second step of the podium. The 29-year old rifle expert Wu Liuxi (CHN), was one of the favorite, at the beginning of the match. 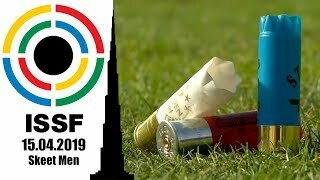 The Chinese athlete knows Munich's range very well: she had won a world championship silver medal here, back in 2010, qualifying for the London 2012 Games. But experience was not enough to stand the excellent scores of today's medallists, today. With a total of 164.2 points, she dropped out of the elimination-style final at the 16th shot, ending up in fourth place. The home shooter Barbara Engleder, 31, followed here in Munich by a number of Bavarian supporters, placed in fifth with 143.3 points. 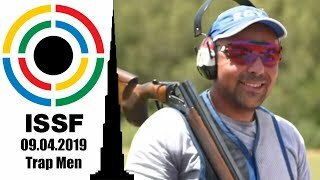 The expert three-time Olympian is now waiting for 'her' event, the 50m Rifle 3 Position Women competition, which will take place in three days, on Wednesday. China's Zhang Bin Bin, at her debut on the international scene, dropped out of the match at the first elimination, after the eighth shot. 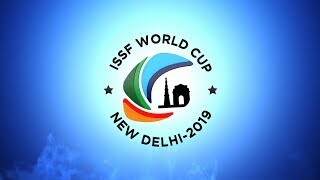 The 25-year old athlete, who had never competed in an ISSF match, before, scored 81.2 points. USA's 23-year old finalist Sarah Scherer was the second eliminated shooter, after the tenths competition shot. The 2012 Olympic finalist closed her match in seventh place, with 102.0 points. 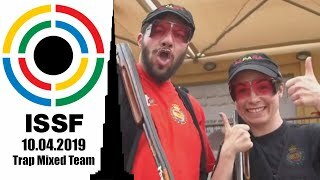 She was followed by Mexico's Salma Maricruz Ramos, 19, who placed in sixth with 123.1 points at her second participation an in ISSF world cup stage.